Things have been going well. I spend most of New Years Eve gaming during the day. Check it out! I started the day off by patching up the mod version of DayZ (I’m lucky enough, or daft enough, that despite only playing FM I still pick stuff up in the steam sale and give them a quick go) Patching went smooth enough and I picked myself a server. It was a little different from the last time I played, mainly as the server was a custom one. I started off in the air, falling “oh eck” I thought “what’s this then” I quickly read on-screen prompts and opened a para-shoot. Cool! I landed safely and instantly had again, double cool! Not only that, I had the stuff to craft myself a bike. So of course I did. And off I set, gun in hand, speeding along on my bike. Sadly I crashed into a wall. Not to worry though, as I headed into a building and picked up some bits and bobs. Loaded up with a backpack with some beans in it, I set to the road and it wasn’t long before I attracted the attention of a number of Zombies. I quickly fired my gun, using up all my ammo and killing…… none of the Zombies. I legged it! I found myself climbing a ladder to the top of a building, then falling off. I think I broke my legs, as I just lay there, able to roll about a little, but unable to stand. I had soon been eaten. So, after my failed life in Day Z I loaded up The Wolf Among us. I absolutely loved The Walking Dead, so I’m not sure why I waited this long to play TellTales next game. Damn it’s good! I imagine once I’ve finished it (all the episodes) I’ll post more about it. New Years Day I was hungover and tired, I didn’t want to game other than booting up trusty old Football Manager and playing on the Liverpool save I started at Christmas at my parents. I took them to top of the league by Christmas, much like real life. Down to 3rd by the opening on the transfer window. I’ll be back on it again soon I’m sure. First up, if you haven’t played To The Moon stop reading my poorly written words and go play it. GO GO! It’s utterly brilliant, almost made me cry at the end and just lovely. The soundtrack is a treat too. So, when I saw the makers had put out a short little minisode I got right on it this morning. It felt so good to be back with Neil and Eva, made me laugh a few times, and the music gave me goosebumps again. I can’t wait till their next game, A Bird Story is out! 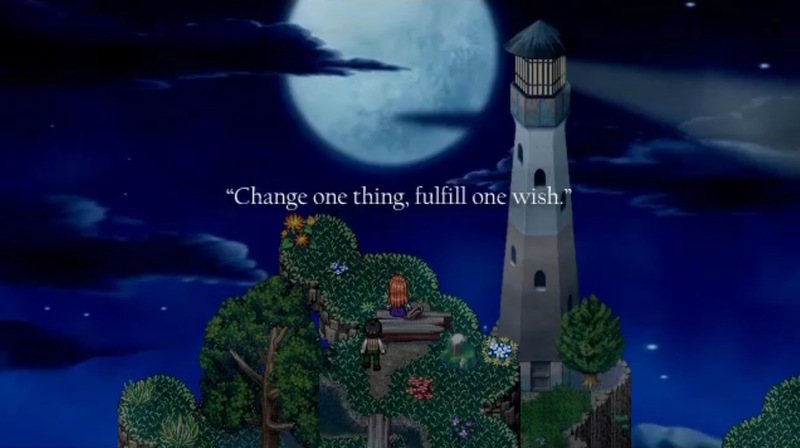 To The Moon might not have the most cutting edge graphics, but it’s utterly beautiful, has a genuinely moving story and an incredible sound track. Everyone should play it. So, there you go. I’ve played some more games. What a treat! I picked up Season Two of The Walking Dead last night in the steam sale. So I’ll crack on with that ASAP. This entry was posted in Gaming and tagged A Bird Story, Day Z, Dayz, football manager, Football Manager 2014, game, gamers, games, gaming, minisode, Telltale, Telltale games, The Walking Dead, The Wolf Among Us, To The Moon, To the moon holiday minisode, Walking Dead. Bookmark the permalink.